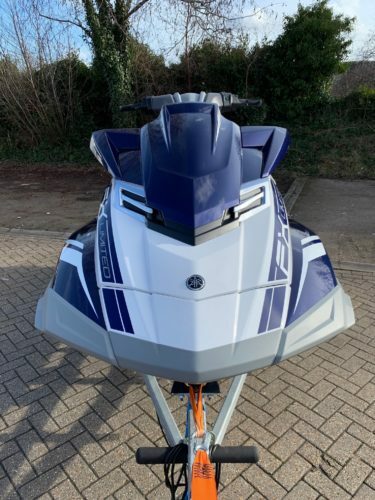 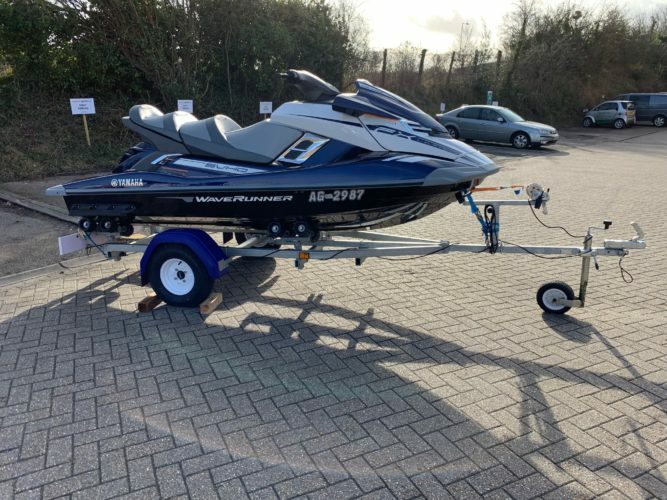 Used Yamaha FX SVHO Cruiser Limited 2017 with only 13hours with warranty till 3/4/19. 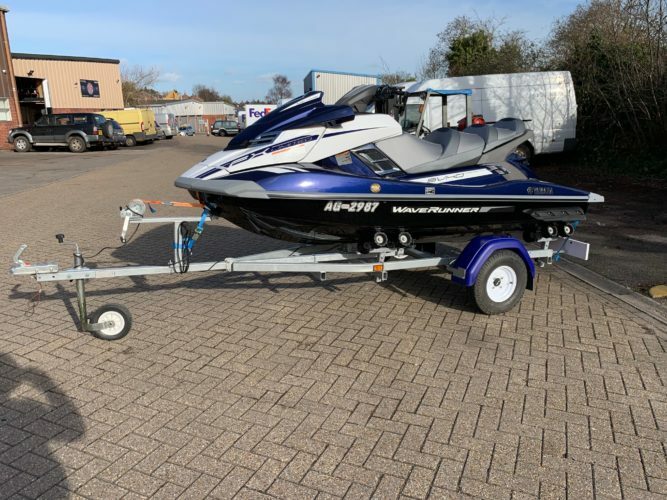 Comes complete on a Indespension roller trailer.In yacht blue metallic this ski really stands out its in fabulous condition comes with all the handbooks and 2 key fobs. 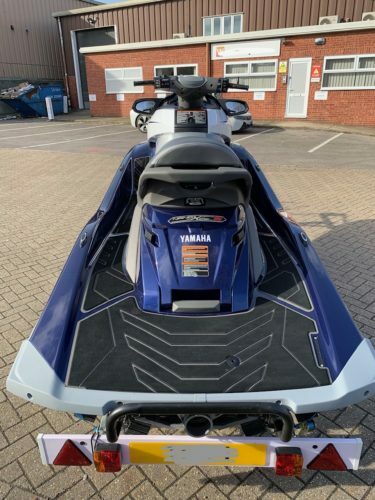 The FX Cruiser LTD comes with loads of standard features including custom cut mats, 4 pull up cleats, Yamaha Ride, electronic trim system and much more.